This post includes an affiliate link. For more information about affiliate links, please see my Disclosure Policy. The first time I discovered the magic of dropped stitches was when I was knitting a Phoenix Tears scarf for my younger sister. One look at the gorgeous pattern and I had to give it a shot. The pattern was so much fun to knit. But when I first saw the instruction to “allow stitches to drop off the needle,” I was a little scared. Drop stitches off the needle… ON PURPOSE?! I swallowed hard, took a deep breath, and followed the direction. To my amazement, each time I did this, my row of knitting doubled in length! I filed this fact away for future reference: dropped stitches means longer knitting. I’ve used drop stitch knitting patterns three times more since then; all of them are in the collection below. I’m a big fan now! First, as I’ve mentioned above, with no effort whatsoever, you can make a row twice as long. Second is the fun changes dropped stitches can create in a fabric. It creates instant airiness, as well as unique shapes. You can form lines, waves, even blocks or bubbles with a little dropped-stitch magic. Ready to try some dropped-stitch fun for yourself? 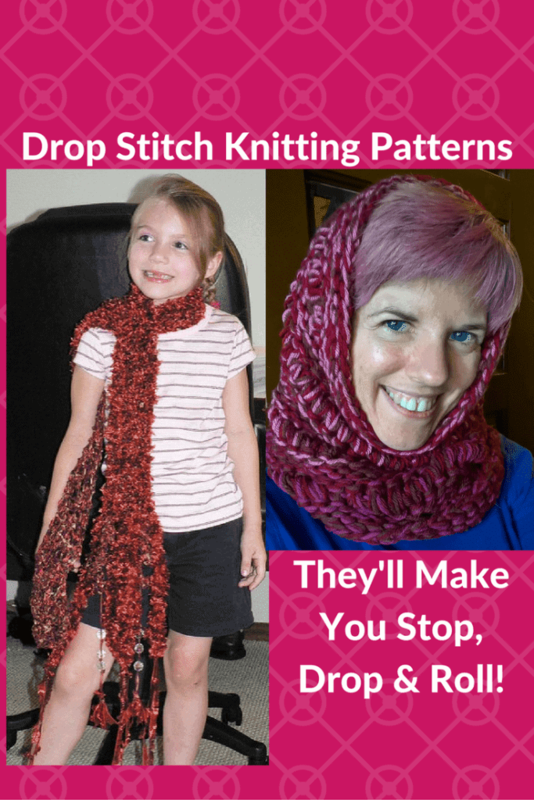 Check out this collection of free drop stitch knitting patterns! 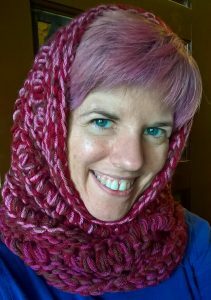 Drop Stitch Cowl: This is the most popular drop stitch knitting pattern on Ravelry, and it’s easy to see why. This pattern is a piece of cake! Its bulky yarn and dropped stitches means this pattern works up with blinding speed. So much so that I made two of them in about two weeks to send to Syrian refugees. Clapotis: This may be one of Knitty.com magazine’s most famous (and popular) patterns. I made this shawl/scarf a few years ago — again, for my younger sister — and enjoyed every second of it. I love the rhombus shape, as well as the way its dropped stitches create ripples. You can wear this beautiful pattern either as a scarf or — when spread out fully — as a shawl. Drop Stitch Scarf: This gorgeous scarf pattern creates waves, literally! The alternating dropped stitches form lovely little waves throughout. This pattern is especially stunning when you use variegated yarn. Instant Gratification Scarf: For a scarf that knits up nearly as quickly as the Drop Stitch Cowl, try this lovely, toasty scarf. The Dummy Clap Shawl: If the instructions for Clapotis seem a little too tricky for you, try this pattern. Its designer created it especially to mimic the lines of the Clapotis. The main difference is you’ll knit it in a simple rectangle, rather than on the diagonal. Bellatrix: These stunning socks, named after one of the most evil villains in the Harry Potter series, creates waves with its dropped stitches. That makes these socks an especially great choice if you want to use variegated sock yarn. Tangled Up in Blue: I loved knitting these socks because unlike Bellatrix, you’ll knit these toe-up rather than cuff-down. But like Bellatrix, they look just as striking in variegated yarn as they do in a solid color. Drop Stitch Hat: Here is the lone pattern of this collection that doesn’t feature waves, ripples, or lines. Instead, the dropped stitches of this pattern creates a bobbled appearance. I especially love this beanie’s squared-off crown and tassels in each corner! Sculera: Are you a little squeamish about this whole dropping-stitches-on-purpose thing? Then this is the perfect pattern for you. You can drop as few or as many as you like. Perhaps you’ll try dropping just one or two at first, and then you’ll become bolder and drop stitches all over the place. Have fun with this one! Pineapple Dishcloth: Finally, if you really want to ease gently into this whole dropped-stitch thing, try this adorable and clever dishcloth. The dropped stitches in this pattern create all sorts of amazing texture. A set of these would make a fantastic wedding or graduation gift! Have you ever wanted to drop a stitch on purpose, just to see what would happen? Or maybe you want to buck convention and do it anyway, consequences be darned. If so, these delightful dropped-stitch patterns are perfect for you! Which is your favorite? For more free patterns using various knitting techniques, check out my directory of Free Knitting Patterns – Technique-Based! 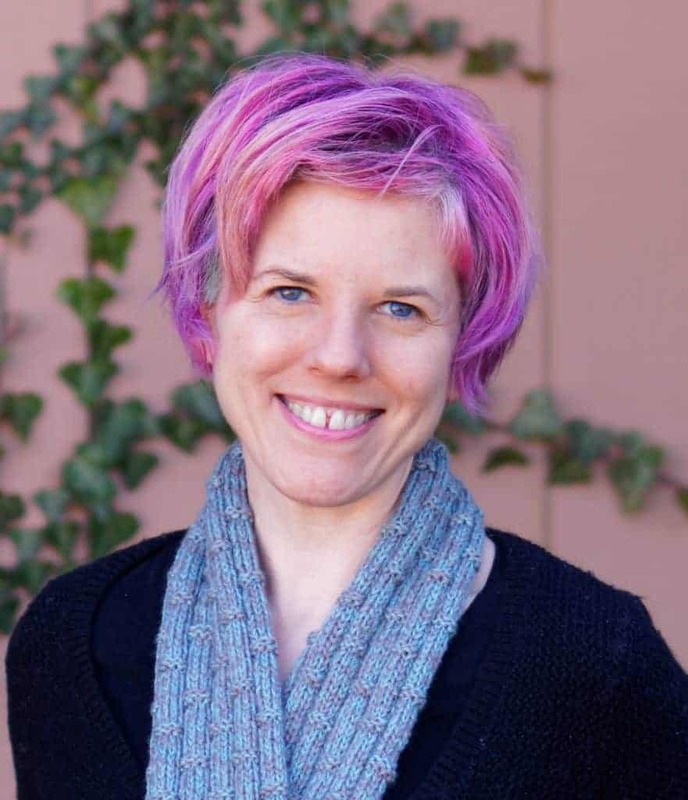 Previous Post: « What I’m Knitting (and Crocheting!) Wednesday: Where’s Summer Gone?